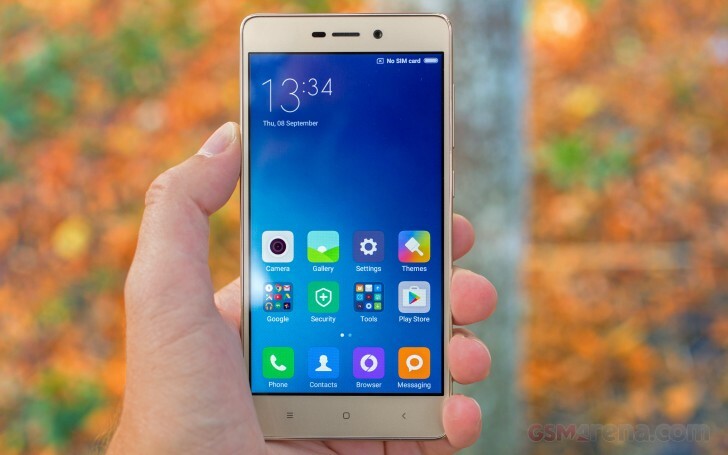 The Xiaomi Redmi 3S comes with Android Marshmallow and MIUI 7.5 by default, but the MIUI 8 update is awaiting to be installed within the Update app. MIUI is one of the most comprehensive customizations of Android to date. It has a big following in China where Google services are not accessible so Xiaomi refocused the ecosystem away from Mountain View's services. For those living elsewhere, there are various international (global) ROMs, which come stripped from the Chinese services, in favor of Google's. MIUI 8 starts off with a fresh overhaul on the visuals but the new icons, color scheme, and animations are more of a refinement rather than a departure. But the looks are just a minor part of the new MIUI. The highlights of the new features are Dual Apps and dual spaces. Dual Apps allows you to have two instances of the same app on your device, so you can, for example, have two WhatsApp accounts on the same phone, one for each SIM, something you couldn't do before. You can have two instances of any app. Any app can become a dual-app - you just need to enable it from settings. The second instance has a yellow indication on its app icon, so you'll always know which instance you are opening. Switching between those spaces is hassle-free (you even get a Switch shortcut in the notification drawer), but far from blazing-fast. The Snapdragon 430 and its 2GB RAM aren't the best configuration to handle the switch in an instant - it takes a few seconds depending on the opened apps and shared content. There are more novelties in MIUI 8. The Phone app and Caller ID are smarter than before now. There is also a brand new Gallery app, a new Notes app, new advanced image and video editors, and a new Quick Ball function that puts a circle on the side of the display that houses quick shortcuts to various functions. Quick Ball can pop up to 5 shortcuts and you can put here pretty much anything - from Android actions to app shortcuts. The Ball can also hide automatically on chosen apps, and move aside when you are running a fullscreen app. Themes are fully supported and several are available out of the box. You can download more, they change wallpapers, lockscreen style, system icons and font, sounds too. Finally, the MIUI 8 supports scrolling screenshots - the feature lets you take a screenshot of an entire page by scrolling and combining multiple images into one long screenshot that you can then crop to your liking.